(Press-News.org) This news release is available in German. Platinum is a great catalyst and can be used for many different applications. It's expensive stuff though, so tiny platinum nanoparticles sitting on cheap metal oxide materials are used to convert harmful carbon monoxide into carbon dioxide. 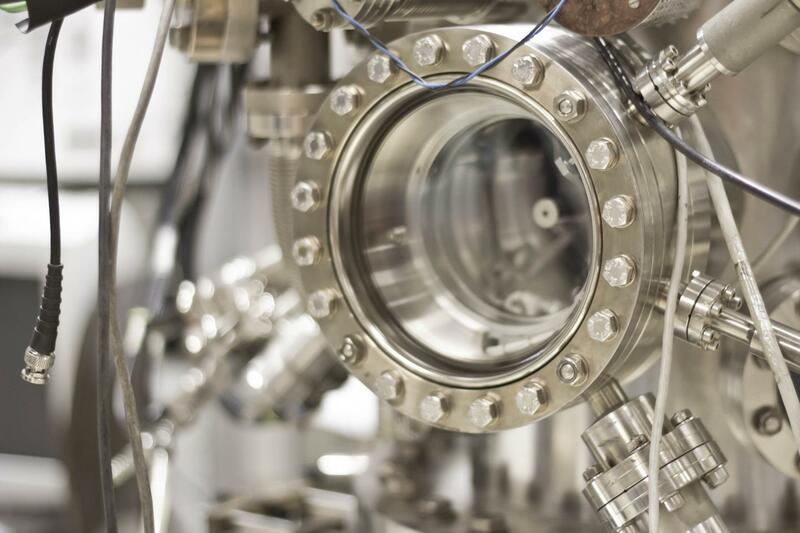 Using scanning tunnelling microscopes, scientists at TU Vienna have now been able to image the catalytic behaviour of platinum sitting on iron-oxide, which allowed them to explain the process on an atomic scale. Surprisingly, the chemical reactions do not take place on the platinum nanoparticles themselves, and it is the interplay between platinum particles and the iron-oxide surface that makes the reaction so efficient. The tiny nanoparticles used for catalysis often consist of only a few platinum atoms. They enable oxidation by keeping target molecules in place and bringing them into contact with oxygen. That way, carbon monoxide (CO) can be turned into carbon dioxide (CO2), hydrogen gas (H2) is oxidized to water (H2O). These reactions are also possible without platinum, but they can occur at much lower temperatures in the presence of platinum particles. "We used to believe that these chemical reactions occur right on top of the platinum particles. But our pictures clearly show that the iron oxide really does the job", says Professor Gareth Parkinson. For years he has been studying the behaviour of tiny particles on metal-oxide surfaces together with Professor Ulrike Diebold (both TU Vienna). Now the team could show that the oxygen needed for the chemical reactions does not originate from the surrounding atmosphere but from the iron oxide below. The iron oxide (Fe3O4), on which the platinum particles rest, has remarkable properties. It has a regular crystal structure and each atom has its well-defined position, but still the iron atoms are relatively free to travel through the material. When the platinum nanoparticles catch molecules from the surrounding gas and combine them with oxygen atoms from the iron-oxide surface, a surplus of iron atoms remains. These iron atoms then migrate deep into the material, leaving a hole in the surface that can clearly be seen in the pictures taken with the scanning tunnelling microscope. This process can even trigger a chain reaction. As soon as the chemical reaction at the platinum nanoparticle creates a hole in the iron-oxide surface, there are some atoms right at the edge of the hole whose coupling to the rest of the material is not very strong. At these edges the next chemical reaction can occur much more easily. The platinum nanoparticle is shifted slightly and it is ready for the next step. "In the end, we can see long trenches on the surface, left behind by a single platinum nanoparticle", says Ulrike Diebold. The opposite phenomenon occurs when platinum and iron-oxide is exposed to an oxygen atmosphere. The platinum particles break up the oxygen molecules (O2), and the single oxygen atoms can then be integrated into the surface. Iron atoms travel to the surface from within the material, and right next to the platinum nanoparticle, an additional iron-oxide island is created. Instead of holes, many small islands grow on the surface. For years the team at TU Vienna has been working hard to lay the necessary groundwork for this kind of research. In many important steps the surface-science team perfected ways to handle metal oxides and tiny particles. In recent years, the have presented important new findings about the structure of metal oxides, about the mobility of atoms on their surface and their chemical properties. Based on this experience, it is now possible to make the chemical processes of platinum catalysis visible and to explain them in detail. Now this new knowledge can be used to create even better catalysts. 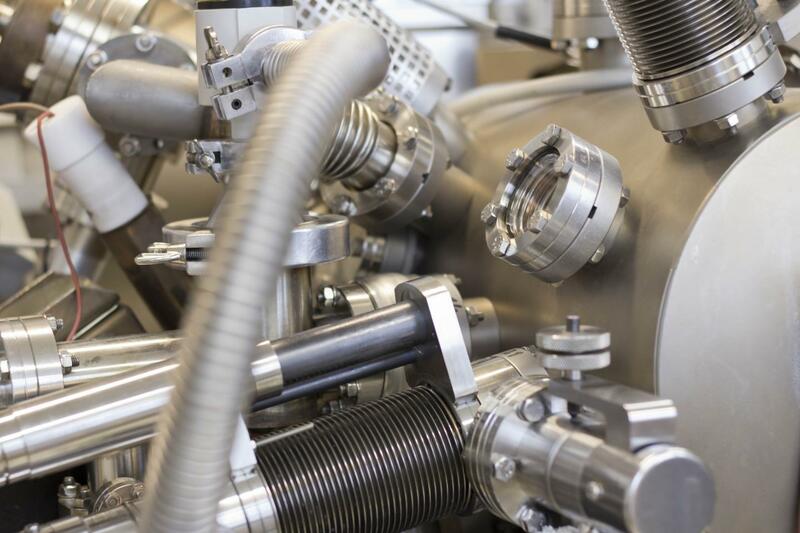 For instance, the team could show that pre-treating with hydrogen should increase the efficiency of platinum catalysts. The atomic trenches created that way keep the platinum nanoparticles from clustering, which would decrease their reactivity.